Well, this is strange. Chris Sanner of Operation Sports spotted a survey looking for people in the Vancouver area to serve in a focus group on a "New NBA Concept." EA Canada, in nearby Burnaby, for years was the studio responsible for the label's NBA products, right up to the ignominious cancellation of NBA Elite 11. After that, an internal reorganization sent the NBA simulation project down to EA Tiburon in Florida, where it was reconstituted as NBA Live 13. Though EA Sports canceled the game shortly before its assumed release last fall, a spokesman at the Tiburon studio tells Kotaku that development on NBA Live continues there. So, whatever EA Canada is testing or planning, it likely is not a simulation-style basketball game. 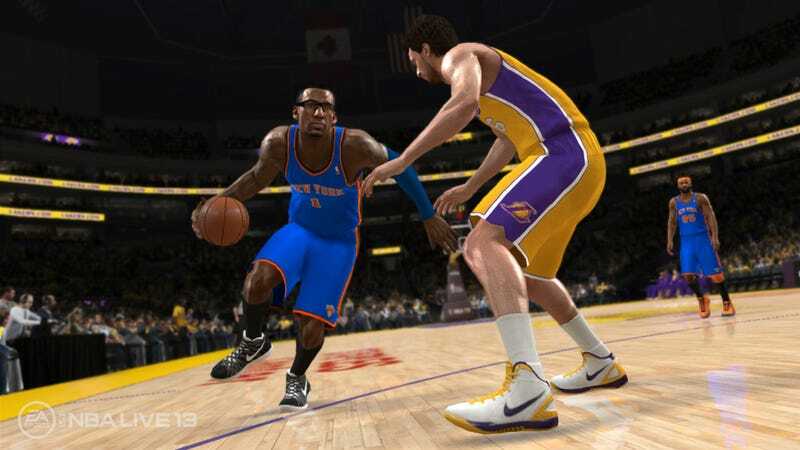 EA Canada developed NBA Jam in 2010 and its successor NBA Jam: On Fire Edition in 2011. The "new concept" alluded to in the survey could mean anything. The survey asks gamers for their level of interest in three EA Sports products—and in NBA 2K.